II. 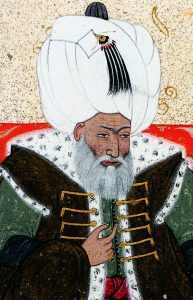 Bayezid (1447- 1512) in Levni’s miniature. The Galata Sarayı, registered in İstanbul’s records from the end of the 15th century onwards as a palace school; is the city’s only non-religious institution that has survived unchanged until the present day. Beginning with its founding myth based on the meeting of Bayezid II and Gul Baba, the building complex bore the very same name, and in time lent it to the neighbourhood evolving around it as well. Except for brief periods of use as a madrasa; the Galata Sarayı complex was used to train qualified personnel to the Ottoman Palace and Army throughout its history. It became a pioneering military school; offering elementary-grade, and medical education. It hosted innovative developments such as a French curriculum and Western standards in education after the mid-19th century. 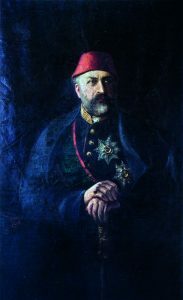 Portrait of Abdulaziz (1830- 1861), painted by his son, Abdülmecid Efendi. Galatasaray University Centre of Arts and Culture Collection. The Mekteb-i-Sultani (Lycée Impérial Ottoman de Galata Serai), took shape as a professional European middle-school; through the close relations between Abdülaziz and the French Emperor Napoléon III. It was shaped by a series of efforts formulated by Âli Pasha and Fuad Pasha, two influential Ottoman statesmen of the time. 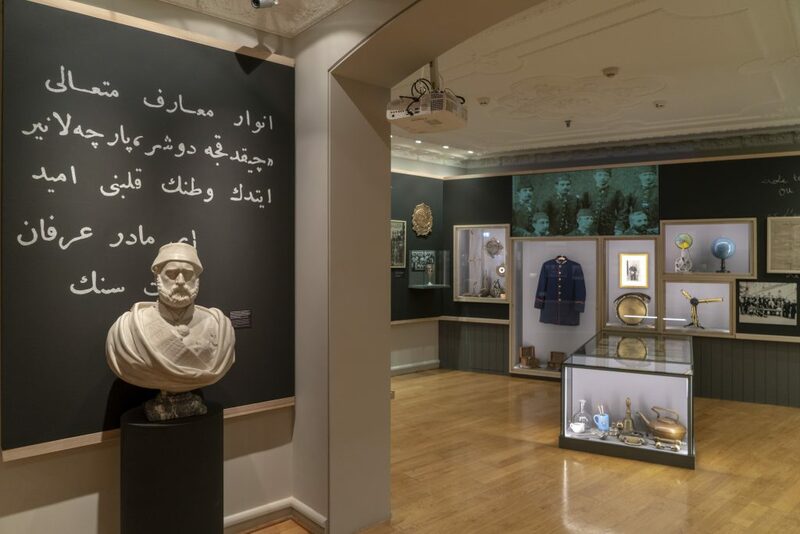 One of the first secular institutions, offering equal rights of education to the diverse peoples of the Ottoman Empire, Galatasaray saw considerable interest after opening, and formed a new tradition of education after its first class graduated in 1871. 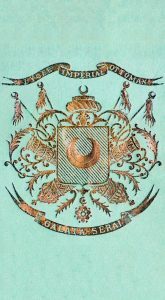 From the years of the Crimean War onwards, its policy of equality was important for the Ottoman Empire in answering a principal European demand. 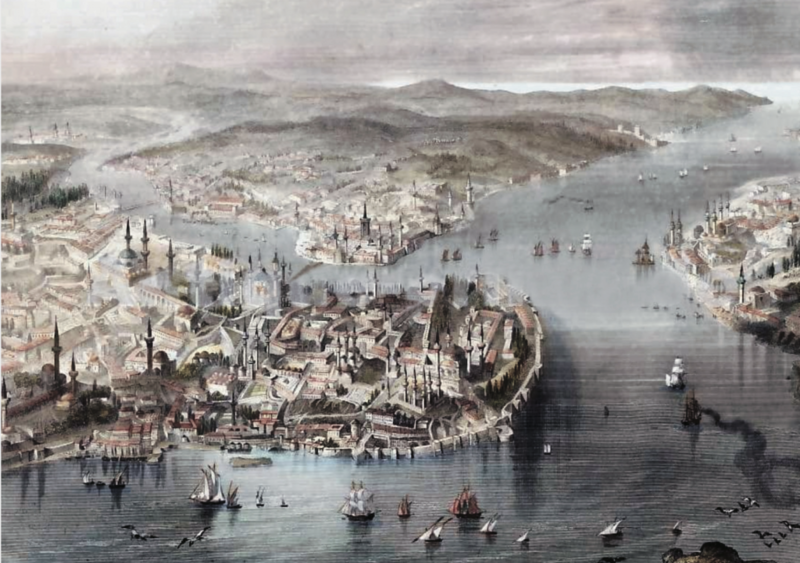 Buildings of the Galata Sarayı in Pera by M. M. Rouargue Fréres, in the 1855 book Canstantinople et la Mer Noire. In the last 150 years; as the Mekteb-i Sultani in the final Ottoman years and as the Galatasaray High School from 1923 onwards –despite varying degrees of success– the school became a symbolic institution and an elite identity for its students and alumni alike. An identity of “being from Galatasaray” was forged thanks to the school’s choice of administrators from its own graduates; with the integration of sports to curriculum its encouragement for institutionalized sports teams, the strong cooperation between the school and its alumni on an institutionalized basis, foundation of the primary school and the university answering the demand of seamless education life, and the feeling of camaraderie that lasted for its graduates’ lives. Today, there is a major sports club, nine alumni associations, two foundations, eight international NGOs, and one international association founded by the initiatives of Galatasaray alumni. In addition, the literature on the school is quite rich for a school of this type in Turkey. These can all be seen as parts of Galatasaray’s contribution to Turkish society in the last century-and-half. This exhibit was designed to offer views from the life of this public institution since 1868; and share the rare, inspiring story of a public school’s incorporation into a major name in education. Galatasaray’s foundation myth as the Galata Sarayı goes back to the Ottoman Sultan’s meeting with Gül Baba, a renowned dervish. The institution is the only establishment that continues education since its founding in the 1480s. A school was established at the end of the 15th century, during the reign of Bayezid II, on the meadows that sprawled across what is now Pera. This school trained “gılman” (chamber boys), specially educated outside the madrasa system; as well as sipahis for the Sekban. Top students were also accepted to the Enderun school in the Topkapı Palace. Managed by the “palace aghas” of the Galata Sarayı, who also took care of the security of the district; the Galata Sarayı served as an affiliate school of the Ottoman palace until 1826, despite brief intermissions when it served as a madrasa. Anatomy lesson on a cadaver, given in 1842 at the Galatasaray Medical School. After an extensive renovation in 1837, the Galata Sarayı buildings were turned into the Ottoman State’s first medical school; offering education in French, in the latest Western standards. The new school started education under the name: École Impériale de Médecine de Galata Serai (The Galatasaray Medical School). The school was opened by Mahmud II himself. At the Galatasaray Medical School, the students (known as şakirt), were educated bilingually in Turkish and French; took baccalaureate exams; and were offered boarding, regardless of their religious or sectarian backgrounds. The school had a clinic, and graduates usually stayed on as doctors and teachers. The school also had a botanic garden, which assisted in pharmaceutical training; and a printing press that published research articles, translations of medical treatises, and also the Gazzette Médicale de Constantinople. 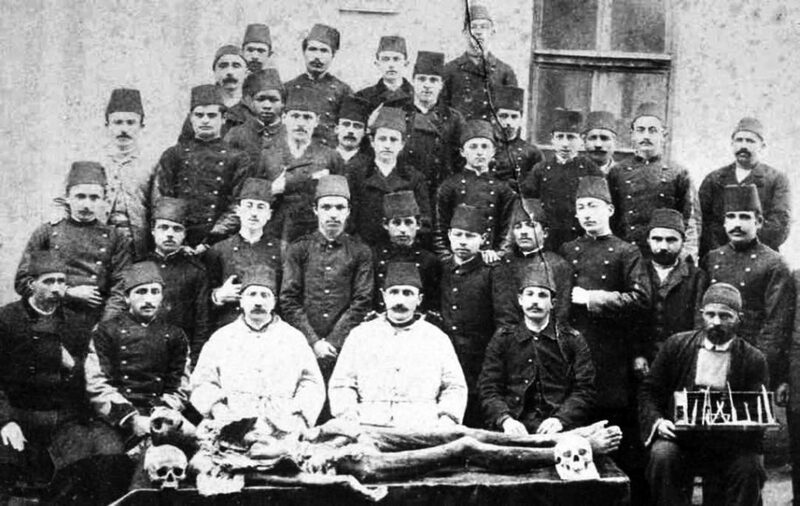 Galatasaray Medical School pioneered many practices including midwifery training for women; the first use of chloroform in anaesthesia; the opening of the Natural History Museum as the first institutional museum in Turkey; and the first anatomy lessons that utilized cadavers in the country. 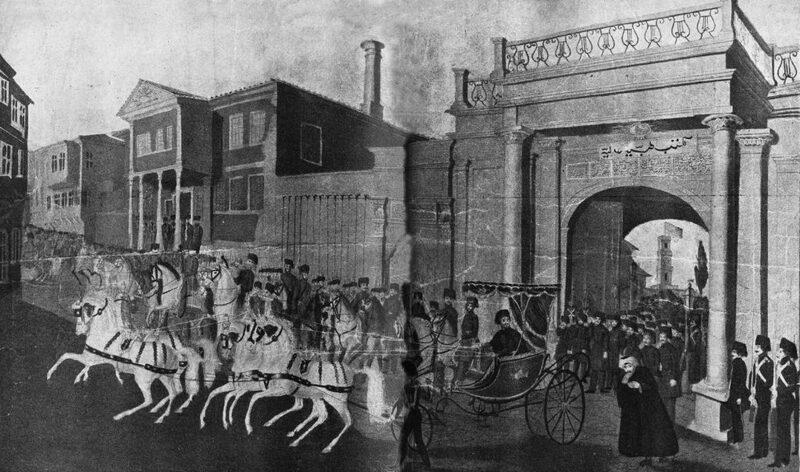 Abdülmecid, leaving the Galatasaray Medical School at Gülhane, from an illustration drawn in 1884. In 1867, Abdülaziz became the first Ottoman sultan to travel outside his country. After touring Paris and London, he decided on setting up the first modern high school in İstanbul; an institution at the same level as Europe’s best schools, a place where children of different religious backgrounds could study together. This way, the empire could train the skilled statesmen and government employees, whom it needed dearly. 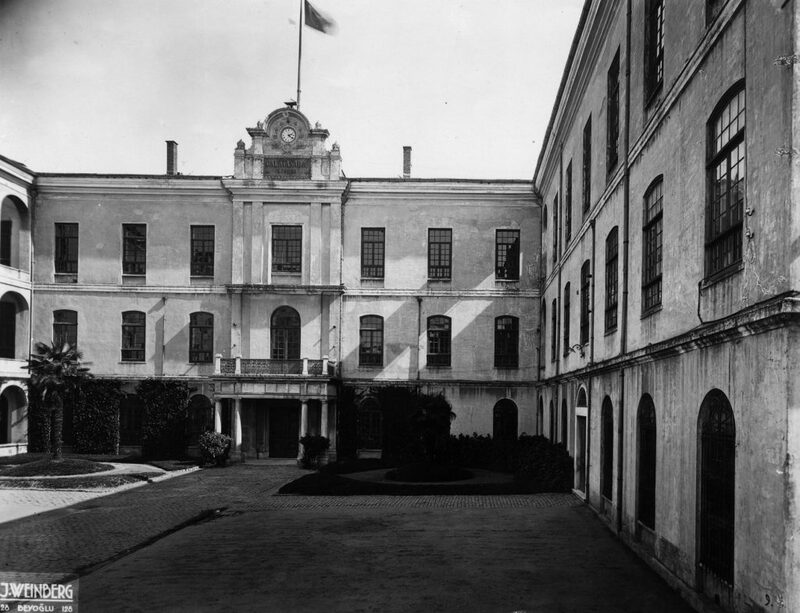 The project, developed by the Grand Vizier Âli Paşa, already a graduate of the old Galatasaray Medical School; and Foreign Minister Fuad Paşa, was completed in 1868. The old Galata Sarayı building, in use since the 15th century, was finally given over to the Mekteb-i Sultani (Lycée Imperiale Ottoman de Galata-Serai). The new school’s greatest difference, in comparison to Western missionary schools already active throughout the Ottoman Empire, was that it accepted students from all religions and ethnic communities. Education was in French. For this reason, Principal Ernest de Salve, and numerous teachers were invited over from France. Despite warnings by the Pope, the Greek Patriarch, the Şeyhülislam and the Chief Rabbi of Turkey against mixed-community education, the Mekteb-i Sultani received considerable interest, and education began in earnest. Alongside tuition-paying students, the school also invited poor, yet high-performing pupils to study at the Ottoman capital. The adverts that announced the Mekteb-i Sultani also told the public about regular physical education classes and sports. Thus, many young students had their first athletic experiences at this school. The Galatasaray sports team was set up by a group of students of this school in 1905, and went down in history as the first professional Turkish football team. The Galatasaray Alumni Association, set up in 1908, is also celebrating its 110th anniversary at the time of writing. 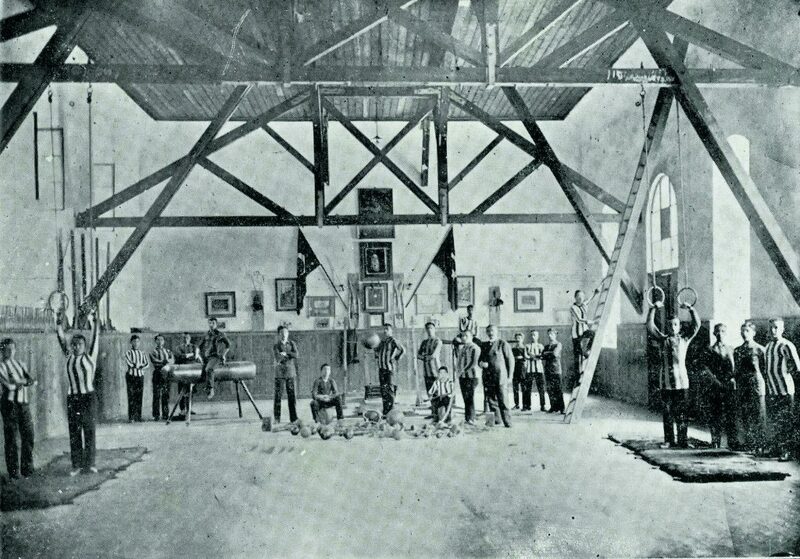 Mekteb-i Sultani gymnastics hall in 1918. The school had many pioneering, extraordinary alumni since its establishment as the Mekteb-i Sultani in September 1, 1868, and its renaming as the Galatasaray High School in 1924. The traditions, symbols, institutions and personal ties that developed in the century-and-half gave rise to a unique identity of “being from Galatasaray” among its alumni. After one hundred years, the Galatasaray High School became a symbolic institution in Turkey; visited by Atatürk four times and left with memories of the presidents that followed him; honoured by a visit from French president Charles de Gaulle in its centenary; and with numerous traditions of solidarity, including its famous Pilav dinner meetings. Galatasaray alumni contributed greatly to Turkey’s War of Independence and the liberation of İstanbul from allied occupation after the First World War. Afterwards, the highly educated Galatasaray alumni played founding roles in many institutions of the Turkish Republic; and the school became the new country’s window to the West, as it was in Ottoman times. The school provided training for skilled government officials, especially for Turkey’s foreign ministry. Turkish and French departments of education continued collaborating throughout this process, and top educators from both countries met at Galatasaray. Galatasaray’s identity walked hand in hand with Turkish patriotism, secular values, modernity, belief in human rights and liberty, ethical values and a deep sense of community. These values were cherished by the Galatasaray community, and became associated with the school in the eyes of the Turkish public. Primary school, high school and college students of Galatasaray. Today, Galatasaray stands as an exemplary state school with its institutions around the world, and its legacy of graduates who have taken the lead in every aspect of life. The school was restructured and restored with the initiatives of the Galatasaray Education Foundation, set up in 1981. 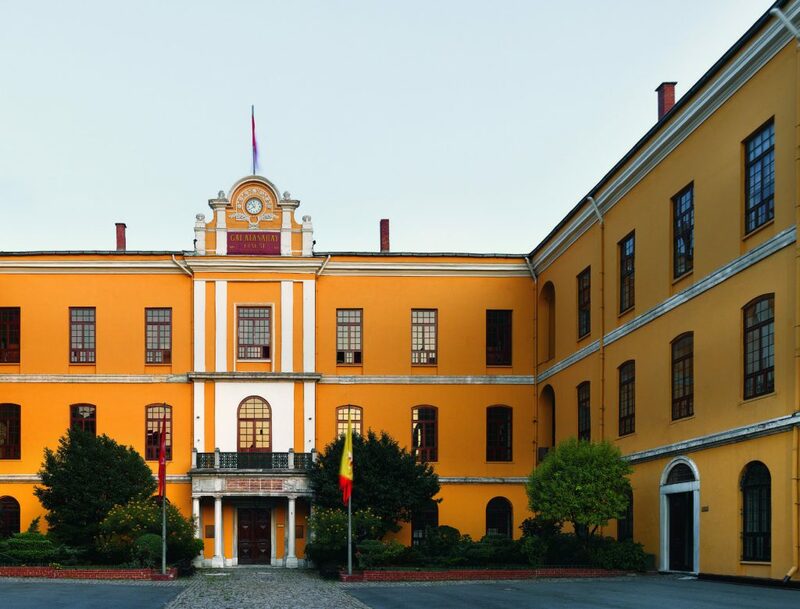 It is now part of an education complex that has been active since the 15th century, alongside the Galatasaray University, set up in 1992; and the primary school, re-opened in 1993. Galatasaray celebrated five hundred years since its legendary roots in the Galata Sarayı palace school in 1981. In 2018, the Galatasaray community is commemorating its past and celebrating its future with various activities. “A Window to the West: 150 Years of the Galatasaray Lycée” exhibition can be visited at İstanbul Reaserch Institute.